This week our Audition Oracle review comes from rising young soprano Caroline Taylor. "Having been a member of Audition Oracle for over a year now, I have received so many auditions and opportunities as a result of my online applications. I was especially delighted to receive the April 2018 Singers’ Preparation Award, which allowed me to take part in an inspiring weekend at Leeds Lieder on their Young Artist scheme. I am pleased to be an ambassador for the site, spreading the word about the opportunities it provides!" Caroline has many exciting performances coming up. Catch her next singing Britten's song cyle Les Illuminations for RNCM on the Road with the Northern Ballet Sinfonia under the baton of Daniel Parkinson. Read more about her exciting journey and keep up with her latest performances and news here - carolinetaylorsoprano.com. Audition Oracle is the leading online platform for opera singers, providing opera auditions and work opportunities direct to your inbox. Register now to take your free-30-day trial. We are always delighted to hear feedback from our subscribers. This week we are thrilled to receive a testimonial from soprano Alison Manifold. "I have been a long time subscriber to the Audition Oracle. I have been very fortunate to receive many auditions and performance opportunities in the three years that I have subscribed to the service and find it an invaluable tool for any professional singer." See and hear Alison in action as Donna Elvira in Don Giovanni during the inaugural season of the Waterperry Opera festival. Find out more about Alison's career here www.alisonmanifold.com. 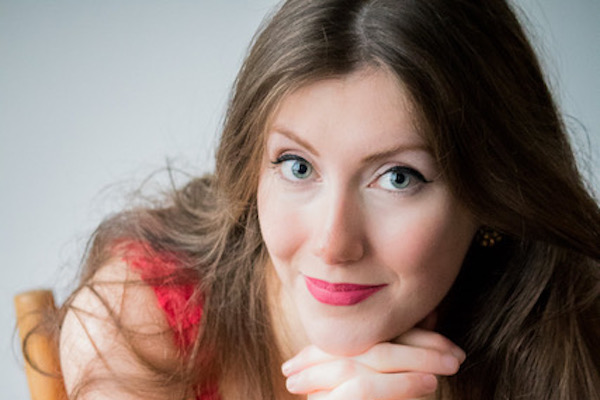 Here at AO we fully understand the importance of up-to-date media and are delighted to offer Scottish Mezzo-soprano Katherine Aitken £300 funding for two days recording at the Royal Academy of Music. 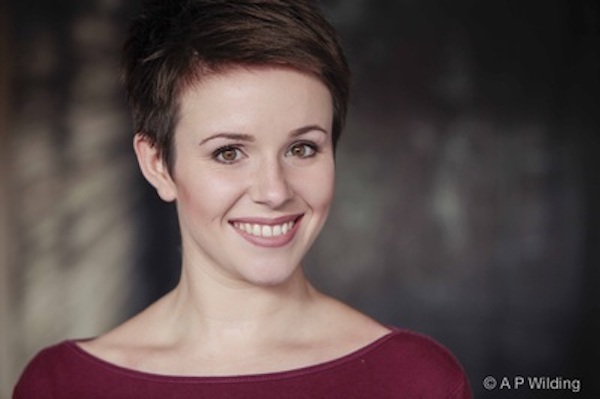 We’re also pleased to provide a further £300 award to Dorset soprano Lizze Holmes for coaching with Iain Burnside and video recording of her debut recital at St Martin-in-the-Fields in July and coaching on Cunegonde for Candide, which she will be performing this summer. Scottish mezzo-soprano Katherine Aitken is an honours graduate of the Royal College of Music, London. She has also a completed her Master of Arts (awarded a DipRAM for excellence) and Advanced Diploma in Opera at the Royal Academy of Music, London, studying with Kathleen Livingstone and Gareth Hancock and where she was a member of the Academy Song Circle and a Kohn Foundation Bach scholar. 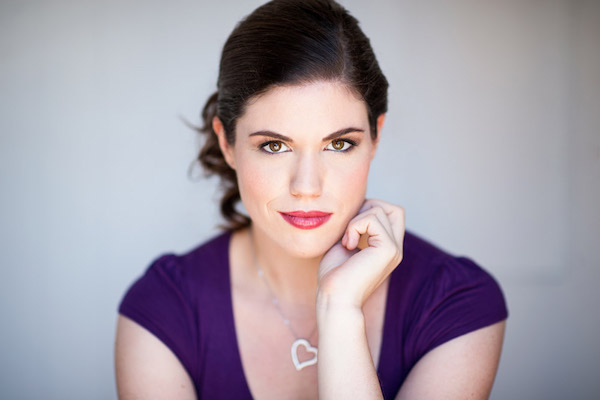 Katherine’s recent operatic experience includes Cherubino in The Marriage of Figaro for English Touring Opera, Tisbe in La Cenerentola and Pippetto in Donizetti’s Viva la Mamma! for Opéra de Lyon and Caligola (L'Agrippina, Porpora) for Barber Opera. After completing her formal education, Katherine was a member of the Studio Opéra de Lyon where she performed the roles of L'Enfant in L'Enfant et les Sortilèges and Valetto in L’incoronazione di Poppea. Whilst at RAM, Katherine sung the roles of Cherubino in Le nozze di Figaro, La Ciesca in Gianni Schicchi and Mrs Kneebone in Lennox Berkeley’s A Dinner Engagement. She also sung in numerous opera scenes including Annio in La Clemenza di Tito and the title role in Jonathan Dove's Adventures of Pinocchio. Other operatic roles include Siebel in Faust with Clonter Opera, and Cretan Woman (cover) in Idomeneo and Alto Soloist in Haydn's Creation for Garsington Opera. On the concert platform, notable performances include Tippett’s A Child of our Time in Salisbury Cathedral, Vivaldi’s Gloria and Mozart’s Requiem at St Martin-in-the-Fields and Mahler's 2nd Symphony at the Royal Academy of Music. Upcoming engagements include reprising Tisbe (La Cenerentola, Rossini) for Opéra de Lyon in the Edinburgh International Festival. Dorset soprano Lizzie Holmes graduated with Distinction from the Royal College of Music in 2014 (Masters of Performance as a Yvonne Wells Scholar). Prior to this she studied English Literature at Warwick University (BA hons); was awarded ‘Best Supporting Actor’ (National Student Drama Festival); toured nationally with Curious Directive’s Your Last Breath (Edinburgh Festival Fringe First Award) and trained for eight years in ballet and contemporary dance. Lizzie is a Concordia Foundation Artist and is grateful to the support of The Carne Trust. 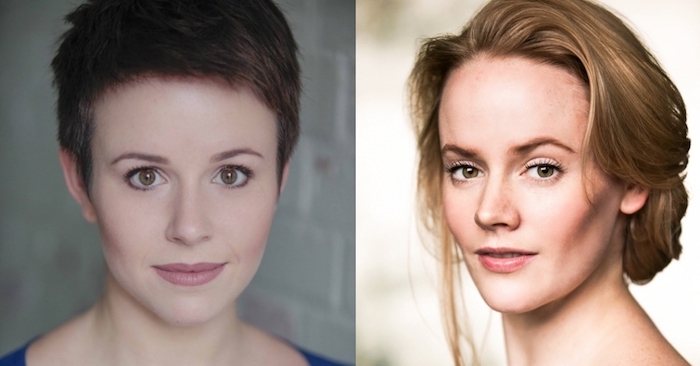 Lizzie’s 2017/18 season: Mimi and Musetta in La bohème (Olivier Award Nominee 2018 ‘Best New Opera’, King’s Head Theatre at the Trafalgar Studios, West End); debut solo recitals at St-Martin-in-the-Fields, Royal Albert Hall and Bath Recitals; Cunegonde in Candide (Surrey Opera at the Minack Theatre); Stephano (cover) in Roméo et Juliette (Grange Park Opera); Amor in Orpheus & Eurydice (Opera in the City); Despina in Così fan tutte (Devon Opera); Mavis in A King’s Ransom (world premiere - Into Opera, Britten Sinfonia); Miss Wordsworth (cover) in Albert Herring (Inaugural Grange Festival); The Narrator in Joseph and the Amazing Technicolor Dreamcoat (The Bach Choir, Outreach Concert); Adina (cover) in L’elisir d’amore (Woodhouse Opera); Mum/RaRa in A Shoe Full of Stars (Gestalt Arts, supported by the International Opera Awards). Other highlights: La Bergère in L'enfant et les sortilèges (RCMIOS); Florence in Burnside’s Journeying Boys (Britten Theatre); In 2014 Lizzie made her West End debut in The Phantom of the Opera (Her Majesty’s Theatre) performing the role of Madame Giry over 80 times; title role in The Coronation of Poppea (Ryedale Festival); Susanna in The Marriage of Figaro (Bloomsbury Opera); Gretel in Hansel and Gretel and Pamina in The Magic Flute (both Opera Warwick, Warwick Arts Centre). Lizzie founded the recital platform DEBUT in 2015 and their monthly concert series, Debut Treehouse, was recently featured in Classical Music Magazine and Opera Now as “a great introduction to some of the best talent”. 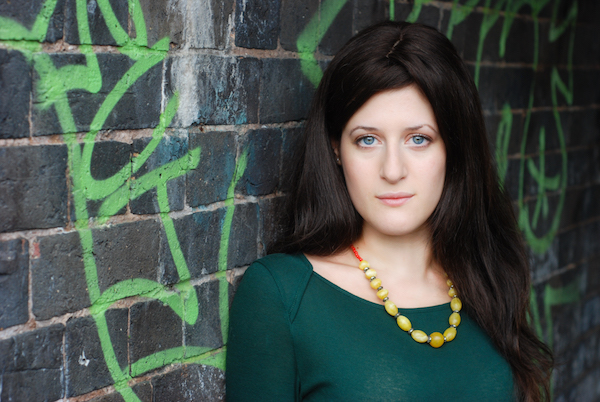 We are delighted to announce Mezzo-Soprano Clara Kanter as the winner of a free MusoSites website for a year. As you probably know, building a site is either very time-consuming to do yourself or prohibitively expensive if you hire someone. Plus, none of the template-building sites like Wix or Squarespace has anything tailored for classical artists. It's no surprise then, that over the last year, we've noticed a number of our subscribers choosing MusoSites, the leading classical music web designers, to create that accompanying site for their AO profile. We are therefore delighted that MusoSites has kindly donated one of their website packages free for one year for the Audition Oracle Singers Preparation Bursary. A graduate of Cambridge University, Clara is currently a postgraduate student at the Guildhall School of Music & Drama. She was a soloist in the world premiere of Stockhausen’s Mittwoch aus Licht for Birmingham Opera Company, and has performed roles at Buxton Opera House and the Arcola Theatre for London’s Grimeborn Festival. Clara’s other operatic roles include Dame Carruthers (The Yeomen of the Guard), Junon (Actéon), Mercedes (Carmen), Pitti-Sing (The Mikado), Sorceress (Dido and Aeneas), Third Lady (The Magic Flute), Zita (Gianni Schicchi), and La Zelatrice (Suor Angelica). Clara appears regularly in concert and oratorio and has performed Berio’s Coro with the Lucerne Festival Academy Chorus under Sir Simon Rattle, and with Grete Pedersen and the Norwegian Soloists Choir. She has performed the title role in Stradella’s San Giovanni Battista for the Périgord Noir Festival and Théâtre Roger Barat, and was the alto soloist in Janice Kerbel’s Turner Prize-nominated work Doug at the Montreal Biennale. Other concert highlights include Messiah at Cadogan Hall, Haydn’s Nelson Mass at St Martin-in-the-Fields with the Brandenburg Sinfonia and Brahms and Schubert songs with The Prince Consort/Side by Side at Wigmore Hall. 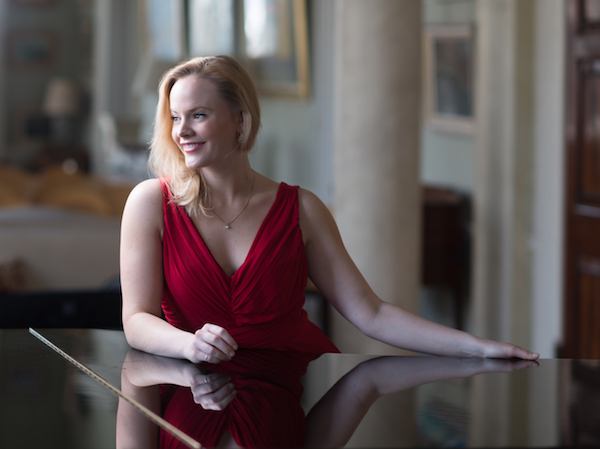 She has featured as a soloist for the Armonico Consort and in broadcast for BBC World Service Radio.